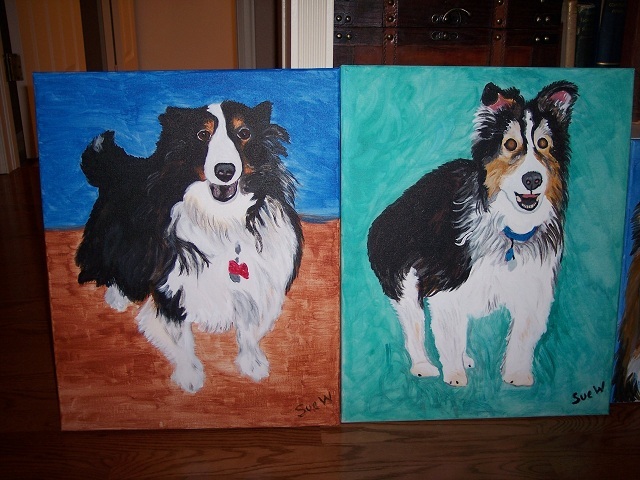 I did a painting of Dudley and found it was a nice way to remember him. 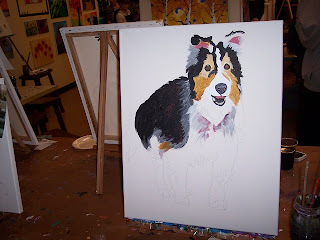 Painting him required that I recall all the minuet details of his fur body. He had thin patches where the skin showed thru and some of his fur had a maroon tint. 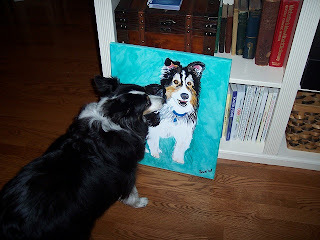 It was nice bringing his painting home in the car - almost as if he was riding on the seat next to me. 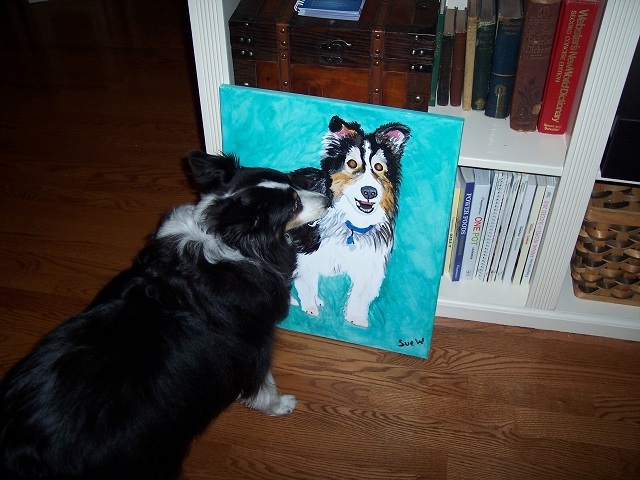 Gracie liked the painting too. Happy St. Patricks Day to all the sheep herding dogs! Enjoy these 2 funny videos featuring a Corgi and a Border Collie. Border Collie herds men away from couch, girls, etc. to get them to the pub. Hurray for more sunlight! 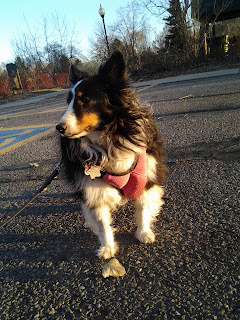 With the clock springing foward, we had more sunlight for an evening walk. We are celebrating 3 years with Gracie now. She has come a long way and we've enjoyed her so much. Thank goodness for her rescue and our adopting her.